Last year we made some super cute Santa napkin rings so I thought this year we’d make some for Thanksgiving! When not in use as napkin rings, they can just be general decor! I really wanted to make the feathers from pipe cleaners, because I received this set from craftprojectideas.com which were the perfect colors. But how to attach them to the napkin ring? Glue and tape isn’t always the best idea with pipe cleaners. The answer? Small pieces of Styrofoam. Perfect! I prepared the craft by attaching small blocks of Styrofoam to halved cardboard tubes with a hot glue gun. 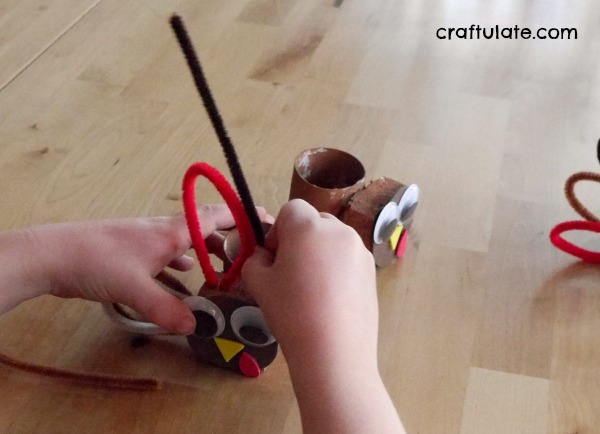 We made the head first – using a brown circle, a yellow beak, and red wattle, and gluing them all together. While the glue dried, we started pushing the pipe cleaners into the Stryofoam in loops. It worked really well! 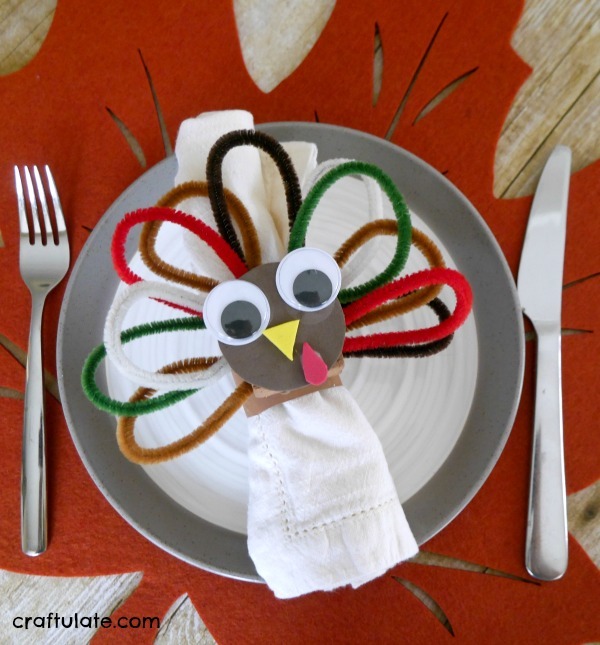 Then I used the glue gun again to attach the head to the Styrofoam, and the turkey napkin rings were complete! 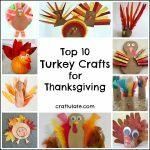 They will be perfect for our Thanksgiving meal!